Abandon Normal Devices (AND) and SHIFT are delighted to announce an exciting new opportunity for residents of Cheshire East. 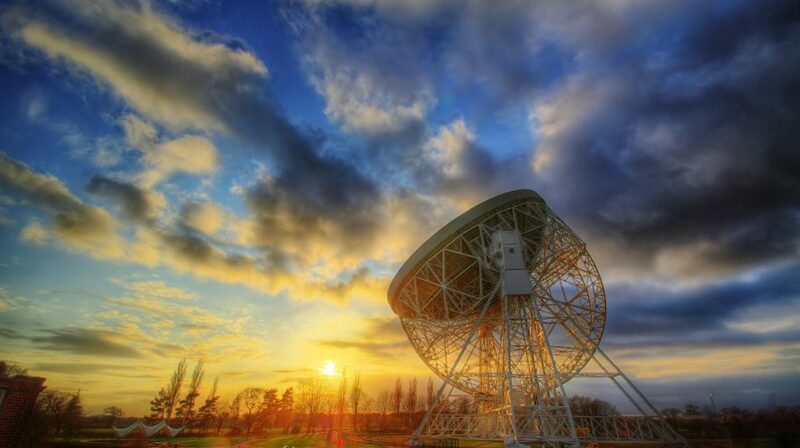 COSMOS is a flagship international art-science residency exploring deep space at Jodrell Bank Observatory. Scheduled to take place annually COSMOS invites an international artist to create a new audio-visual work developed for, and to be projected onto, the iconic Lovell Telescope at the bluedot festival in July. The COSMOS Ambassadors Programme is open to anyone living in Cheshire East who is interested in gaining hands on experience in digital arts and art-science collaborations. The opportunity will provide training for 10 individuals, who will participate in a series of workshops in the lead up to the bluedot festival. Ambassadors will then play an active role in the delivery and audience engagement of the COSMOS commission during bluedot festival from 19-22 July 2018, working closely with AND and ARUP staff. The aim of the programme is to embed some of the learning from this ambitious art-science collaboration in Cheshire East, by building participants skills and confidence as art-science communicators / advocates. The opportunity is open to anyone over the age of 18 living in Cheshire East, who has an interest in gaining hands on experience with digital arts. We specifically encourage applications from young people (18+) and adults who are out of work. There will be a maximum of 10 ambassadors places available. Applications must be submitted via the online application form and deadline for applications is 12:00 on Friday 25th May 2018. Please submit all documents (including materials 1-3 above) as ONE .PDF format document. The limit for uploads via the online application form is 10MB, if your application exceeds this please provide a link to the file using transfer services like wetransfer or dropbox. For any queries relating to your application, or if you require assistance in the application process, for example due to disability, please contact submissions@andfestival.org.uk. COSMOS is a flagship international artists commission and residency for Lovell Telescope. Produced by Abandon Normal Devices, commissioned by Jodrell Bank Observatory, Abandon Normal Devices and SHIFT. Supported by the University of Manchester, bluedot, Arup, Austrian Cultural Forum and with public funds from Arts Council England. LiDAR* scans of the Lovell Telescope used in the production of COSMOS are provided by Arup.